Hey there, do you have a favorite kid – or two or three – in your life? Do you know any kids that are hard to get gifts for? Maybe you’re struggling with giving meaningful gifts versus gifting more stuff? These cute Kids Love Coupons are perfect for kids that don’t need more toys. Give those kids something they really want and that will last forever – and you’ll love it too! Give them some of your time and make some fun memories with them. Because, what kid wouldn’t want a special date or activity and to be the center of your attention? 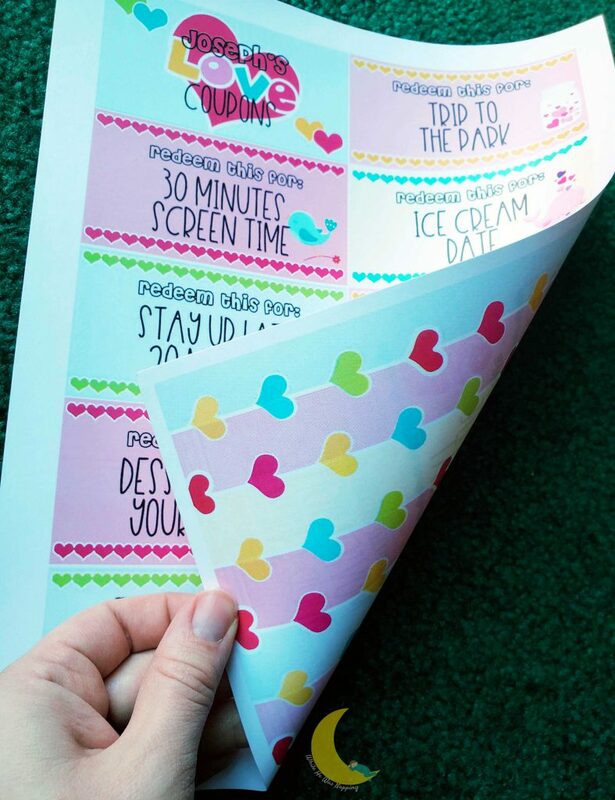 Carve out some special time for your favorite activities together with these printable Kids Love Coupons. As a mom of 4, I know all too well what it’s like when kids have plenty of stuff. Mine definitely don’t need more toys and things to leave on the floor. Because of this, I try to give my kids meaningful and worthwhile gifts. And, as a busy mom, time is one of the most precious things. I would much rather spend more time doing fun things with my kids than picking up more toys. And I love that these kids coupons are perfect for every budget. The actual coupons cost some ink and paper. The outing redeemed with the coupon can be as expensive or frugal as you want or need it to be. My kids get just as excited about going to the park as they do about going to the movies. They don’t need fancy, they just need you. Things come and go. Toys break. Fun and memories can last forever. 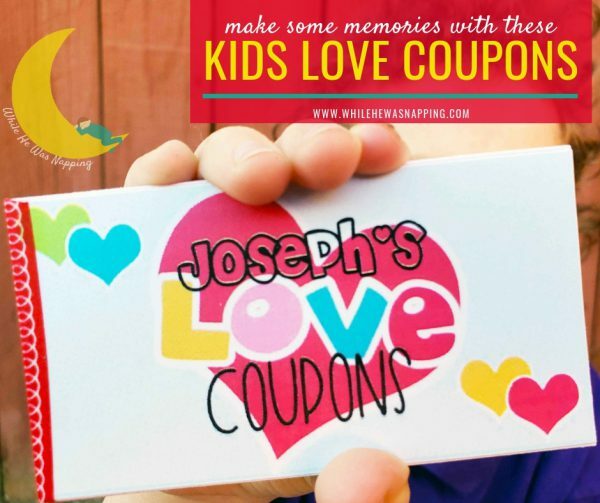 These Kids Love Coupons are a perfect gift to receive from anyone. What kid wouldn’t love to get some fun dates and special activities from one of their favorite people? Anyone can give someone their time: Parents to children, grandparents to grandchildren, favorite aunt or uncle to niece or nephew, even friend to friend. A good homemade gift is the best. But life is busy and there aren’t always hours to spend putting together something for every gift that comes along. 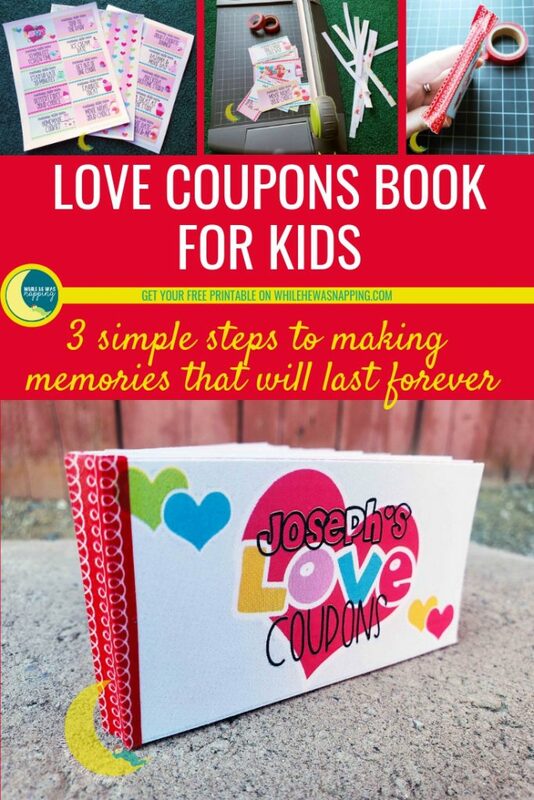 This kids love coupons book is simple, quick and will look great when you’re finished. With just a handful of materials you probably have already and a half an hour, you will be ready to hand your favorite kid some memory-making magic in the form of 9 awesome things to do with you. Kids Love Coupons – free download below. There is a full set of 28 ready-to-print coupons, plus editable files to easily create your own custom coupons in my Etsy shop, if you want a larger set of coupons. Step #1a: Download your free printable coupons by clicking on the green “Click to Download” button below. Save the file to your computer. Print your coupons. This file is designed to print at “actual size” on 8.5″x11″ paper. I recommend printing on cardstock for added durability. Personally, I use THIS CARDSTOCK for most of my projects. I prefer a 110 lb weight and a brightness of at least 90. This file is intended to be printed on a single piece of paper. If your printer has the option to print double sided, use it and flip on the long edge. If your printer does not print double sided, you will have to manually flip the page and put in back in the printer before printing the 2nd page. PRO TIP: When manually printing double sided, I put a little ‘x’ in pencil at the bottom left corner of the page before I print anything so I know how to put the page back in the printer when I print on the back side. The ‘x’ will need to be at the same end of the printer, facing down when you put the page back in. Step #2a: Cut the coupons apart. I love my Swingline SmartCut paper cutter for this stuff. Makes cutting straight lines a breeze and so, so fast. And I love that the blade is fully enclosed with all the little fingers around my house. PRO TIP: Your coupons may not have printed perfectly straight on the page. Make sure you check the edges of the coupons on your cutting line before you cut so your coupons don’t get cut crooked. 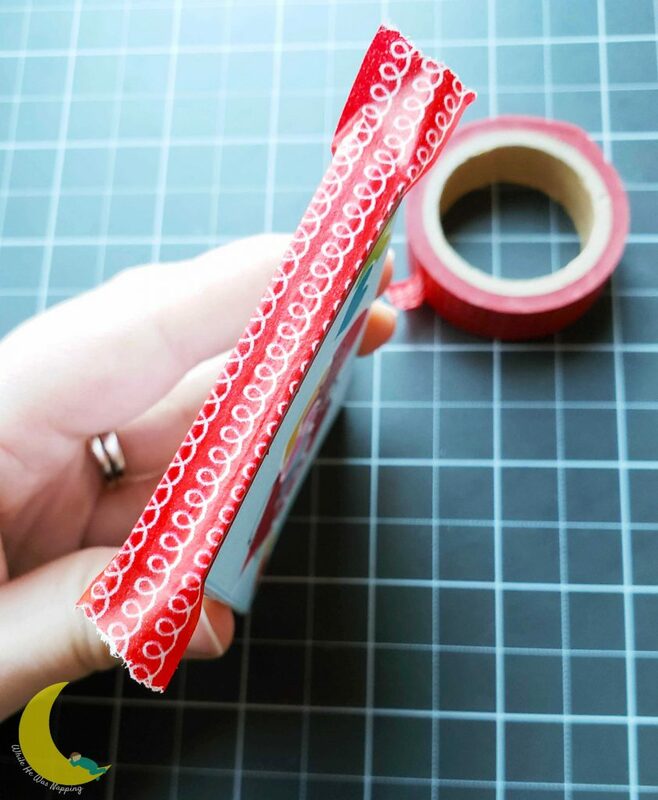 You could also use a ruler and craft knife or scissors to cut the coupons apart. Step #3a: Gather your coupons together and arrange them in the order you want them. Line up all the edges on the side you’re going to bind. The easiest way to do this is to hold the coupons loosely in your hand and knock the side you’re going to bind against the table a few times. 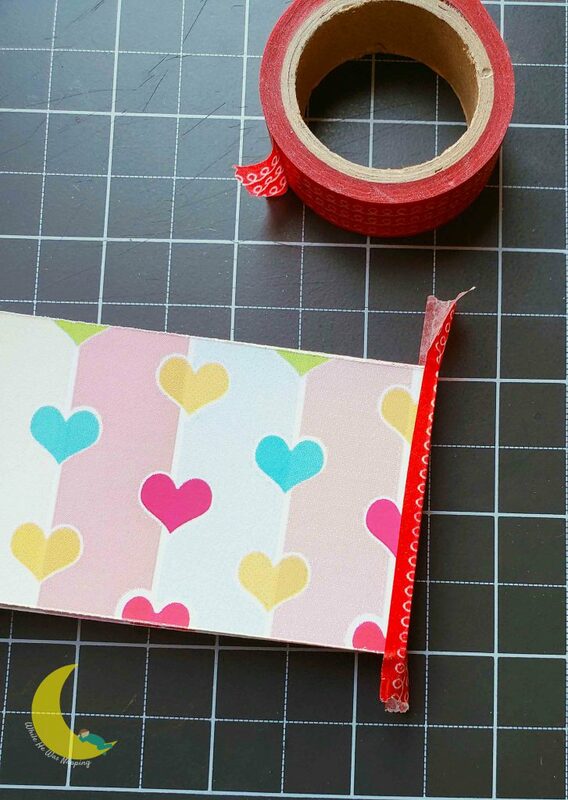 Step #3b: Cut a piece of washi tape a little longer than the length of the edge you’re going to bind. It doesn’t need to be precise, the tape just needs to cover the entire length of the edge. Place the tape on the edges of the coupons, pressing firmly. Wrap the excess tape around the front and back of the coupon book. 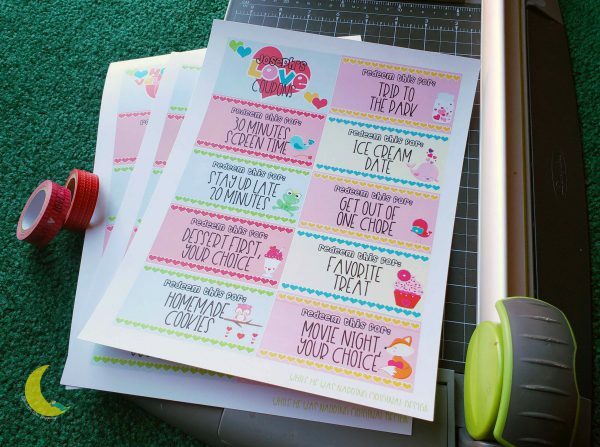 Press each coupon firmly into the washi tape binding. Use your craft knife or scissors to trim the ends. PRO TIP: If your coupons aren’t sticking to the washi tape and staying in the book, put a thin zigzag of white glue across the full length of your washi tape. 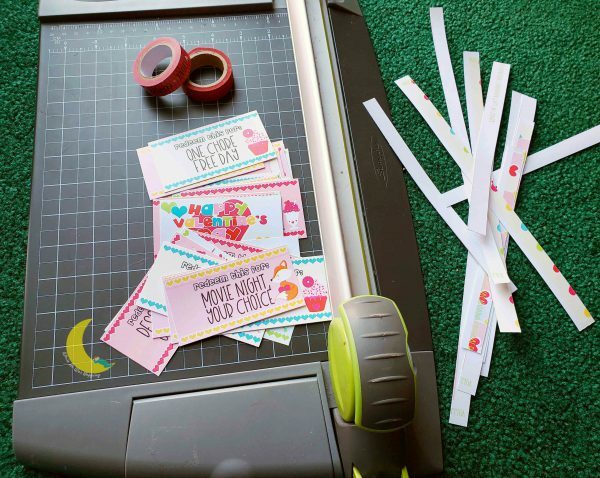 Because washi tape isn’t a permanent tape, some kinds won’t be sticky enough to hold the coupons in place. A small line of white glue should help with that, without making the coupons hard to remove from the book. That’s it! You’re ready to wrap and give those love coupons to your favorite kid. And get ready for some awesome good times and memory making! It might seem like building a fort or going to the library isn’t a big deal, but when your kids look back on their childhoods they will remember the people and the fun. They will remember the forts and the story times. They won’t remember the things. 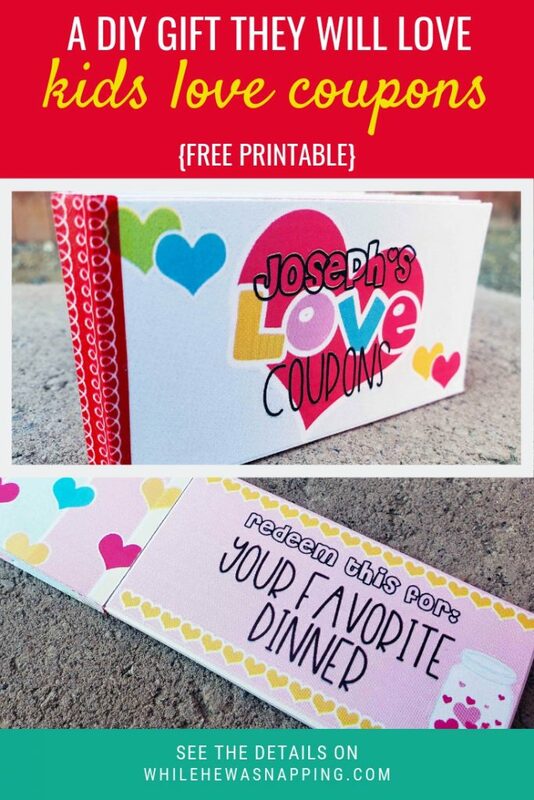 Go make your favorite kids their very own Kid’s Love Coupons Book and give them something to remember. Want to expand your Kids Love Coupons collection? 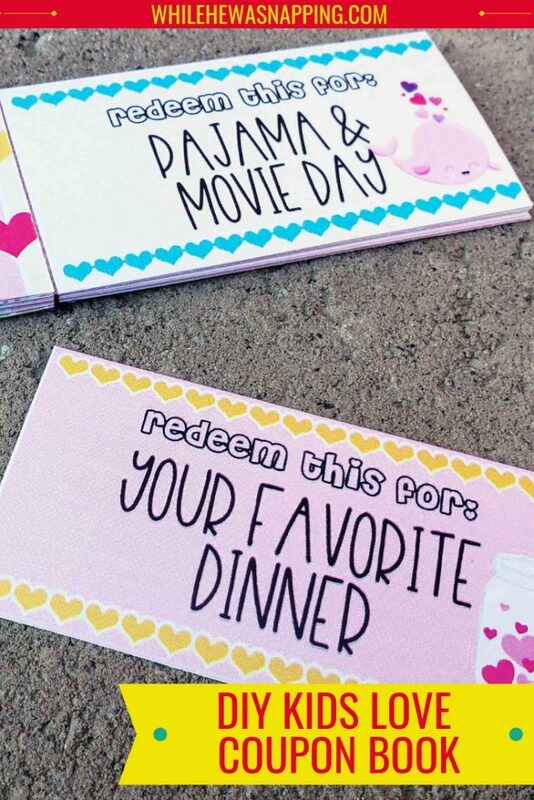 Check out my Etsy Shop for the full set of 28 ready-to-print coupons and an editable file that will help you make your own personalized, custom coupons in just minutes!